Fast wood signs in Vegas comes in handy if you are a realtor and have a client demanding that a sign is placed immediately on the property. Fast wood signs are the realtors choice when it comes to signage for a commercial piece of property or vacant land. ( However, many Las Vegas realtors like the newer aluminum signs that are lighter in weight and less expensive) Fast wood signs will last a long time and come in a variety of sizes to match your real estate listing needs. The more common size realtor wood signs are 4ft x 4ft, 4ft x 6ft and 4ft x 8ft. However, sometimes when a realtor is listing a large home development for sale, they will use a combination of 4ft x 8ft signs to build a monster sized 8ft tall x 18ft wide sign so that it can be seen from far away and impress people. Fast wood signs are not expensive, and just takes a few days to make. The cost of the fast wood signs varies according to size. A 4ft x 4ft 1/2 wood sign with a full color graphic is $125.00, while a 4ft x 8ft wood sign is around $225.00 with a full color graphic on it. The graphic is printed on a adhesive vinyl application and then applied to the MDO board ( wood substrate) and then laminated to help protect it against the intense sun that Las Vegas has. The sign is printed with fade resistant ink such as eco solvent ink or latex ink. Fast wood signs can be found at sign stores in Las Vegas that specialize in making realtor signs. Prices may vary a little but the prices listed in the above paragraph are generally recognized. From start to finish, it is only a few days to print and apply the sign to get it ready for install. November 24, 2018 Robert W.
Custom wood real estate signs in Vegas are in front of commercial properties and vacant land all over the Las Vegas area. It has been said that 10% of all real estate transactions occur because of a real estate sign on the property. With that kind of knowledge, why not get the biggest and best sign possible so that you can increase your chance of selling the property as well as listing the property for a dual commission ! Custom wood real estate signs in Vegas are not expensive as you might imagine. The cost of a wood MDO commercial real estate sign is around $125.00 for a 4ft x 4ft sign and about $225.00 for a 4ft x 8ft. wood real estate sign. 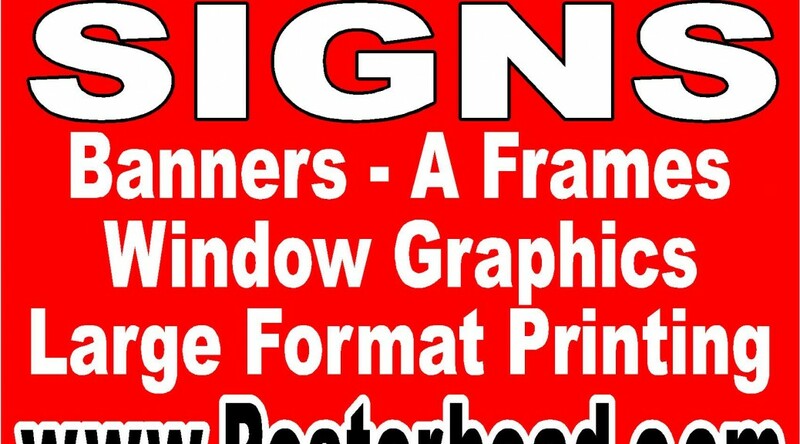 ( You can also get these large real estate signs in aluminum as well for less money) Custom wood real estate signs are just that, custom made and printed with the information that YOU want on them. Most realtors place the broker’s name, their name and contact information as well as other pertinent information about the property like square footage, utilities, zoning and terms. Also, if the real estate agent chooses, they can also have their picture placed on the sign as well. GLVAR realtors sometimes like to have their pictures on the signs because they like people to see them and it works well for future referrals. Custom wood real estate signs are securely placed at the site of the property with strong 4″ x 4″ wood posts that can withstand the intense wind that Las Vegas sometimes has. These signs can be placed vertically as well ( 4 feet wide and 8 feet tall ) so as to really look impressive to people driving by. Custom wood real estate signs are available at sign stores in the Las Vegas area that make real estate signs. November 21, 2018 Robert W.
Large wood real estate signs are the preferred signage for realtors for commercial properties in the Las Vegas valley. Large wood real estate signs give a solid appearance as well as professional when listing a property for lease or for sale. These large wooden real estate signs can be any color or combination of colors and have your picture placed on the sign as well. Think about that, you can have a full body picture printed on your 4ft x 8ft real estate sign when you turn it vertically. Since it is said that all real estate listings are sold or leased by having a real estate sign, it might be worth investing in a large wood sign that can be reused over and over again. Also, if 10% of the time you sell the property, you will get a double commission ( both as a buyer’s representative and the listing agent) ! Large wood real estate signs are not expensive with the 4ft x 4ft commercial grade wood real estate sign selling for about $125.00 and the 4ft x 8ft MDO wood real estate sign for a little more than two hundred dollars. Of course, you can get these signs cheaper in the aluminum models where an aluminum all weather 4ft x 4ft sign is less than one hundred dollars and a 4ft x 8ft aluminum sign sells for around $175.00 Both versions of these signs will last a long time because they are printed on a outdoor vinyl with eco solvent inks that is designed to last a long time in the summer sun of Las Vegas. The signs are then laminated for further protection against the weather elements to prevent fading and long lasting application. Large wood real estate signs can be purchased at local sign shops at very reasonable prices. Turnaround time on these large signs is just a few days. June 28, 2018 Robert W.
Wood realty signs are made by printing the desired design on to a vinyl and then applying the printed vinyl to the MDO wood sign. ( MDO means Medium Density Overlay Panel) which is basically a piece of 1/2: thick or more plywood with a special panel overlaid on it. These vinyl prints can be any color or combination, including printing pictures of the inside of the buildings, realtor pictures and logos. The vinyl prints are then laminated to protect them against the elements of nature ( in cases like Las Vegas, the laminate protects the print/sign from the harmful sun and heat during the tough summer months) This allows for the print to be protected against fading. Wood realty signs are not expensive. The average cost of a heavy duty 1/2″ thick MDO 4ft x 4ft sign is approx. $125.00 per sign. The larger 4ft x 8ft MDO wood realty signs sell for about $225 each. These signs will last for a long time. 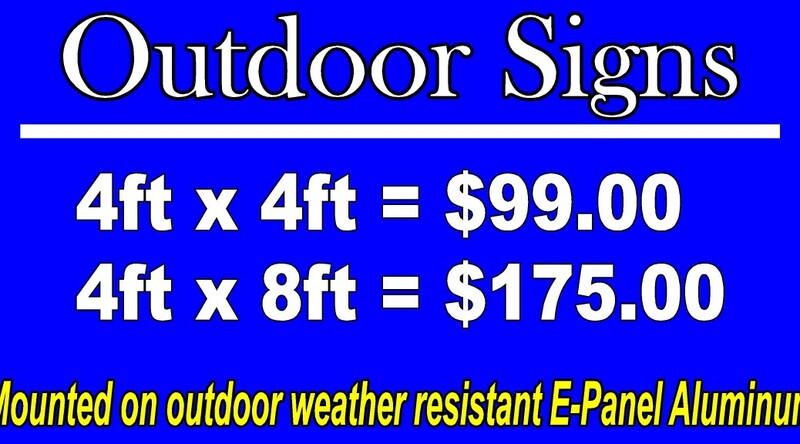 Cheaper aluminum signs using the e-panel or dibond aluminum can also be made for less cost. They are lightweight and aluminum, which allows for a long lasting sign that will hold up very well in the outdoor weather of Las Vegas. Wood realty signs can be purchased at sign companies such as Posterhead Signs ( http://www.lacartes.com/business/Posterhead-Signs/701005 ) in the Southern Nevada area that support the local realtors. April 10, 2018 Robert W.
For lease wood signs are heavier than the normal aluminum signs found at properties for lease in the Las Vegas area. 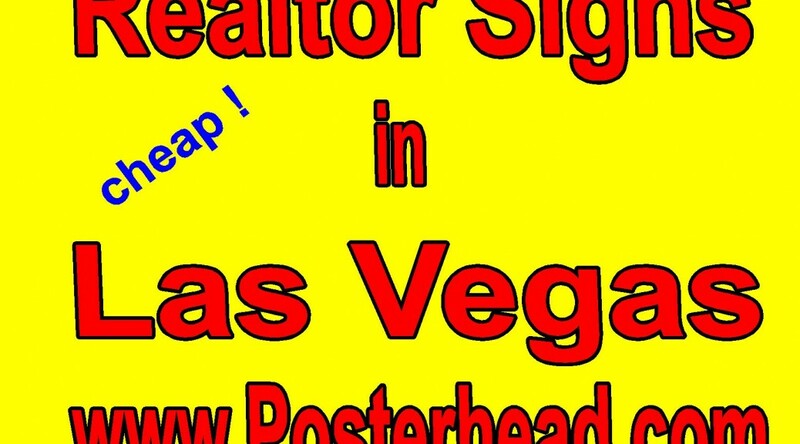 Realtors from the local Greater Las Vegas association of Realtors www.LasVegasRealtor.com or the www.Calv.co sometimes like the old fashion heavy wood sign to represent them when trying to list a piece of property for lease. These realtors place these signs in front of properties they represent in order to let people passing by that the property is for lease. In addition, the “For Lease” sign also contains information about the property for lease such as zoning, size, utilities , square footage, etc. that would let prospective clients know if the property is suitable for them. The sign might even list special instructions like improvements that the landlord might consider to lease the property. These wood real estate signs are usually sized at 4ft x 4ft or 4ft x 8ft. However, other sizes are available as well. For example, on a large piece of property that sits back from a road, the real estate agent might want a very large 8ft x 16ft wood sign so that it can easily be seen from the road way. These wood signs are supported by 4″ x 4″ wood posts or sometimes even large wood posts as supports for such heavy wood signs. 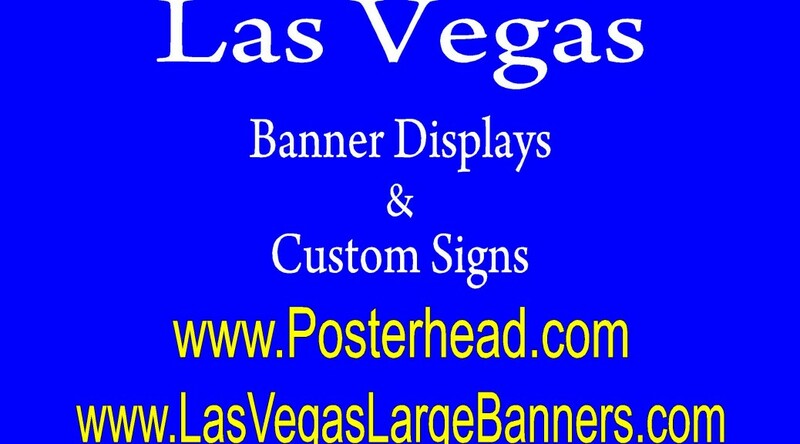 For Lease wood signs in Las Vegas can be made by many sign companies in Las Vegas. 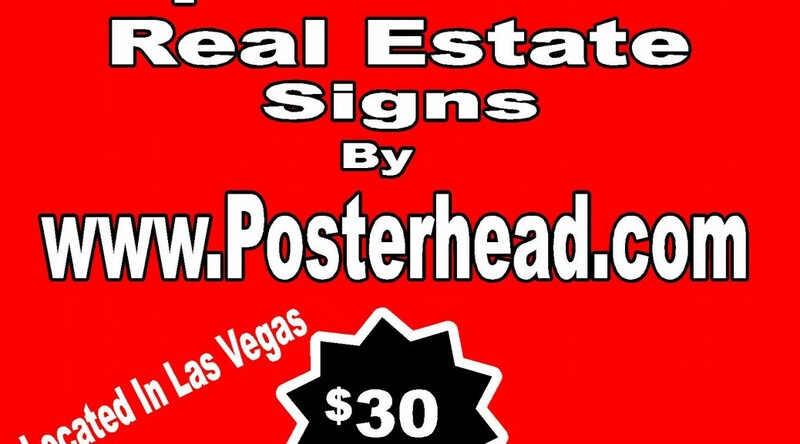 The GLVAR has a referral program for sign companies and realtors and one company www.Posterhead.com is on that list. To be on the GLVAR Member Benefit Program, the associated company has to offer a benefit to the realtors.